Ho Chi Minh City is currently adopting strong measures to do away with unwanted beggars from the streets of the city by 2015. The Department of Labor, Invalids and Social Affairs is preparing a plan for the People’s Committee for consideration. Many related agencies say that the city should adopt new measures instead of presenting old ones. 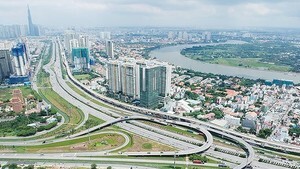 Ngo Mai Hoang Yen, chairwoman of the People’s Committee in ward 15 in district 5, said beggars on the streets of Ho Chi Minh City, especially in the downtown areas, have posed a menace and have marred the image of the city. Ward 15 in district 5 has fought against this problem for years in “hot spots” like Ha Ton Quyen market and some places on Hong Bang Street, Yen said. Policemen and employees of the district People’s Committee keep track on those who disguise themselves as handicapped or sick and beg for money. The government keeps sending such people to sponsored care centers, but the beggars come right back. This method has proved ineffective in the past, she said. Yen says the city needs new stricter measures to clear this menacing problem. Nguyen Thi Kieu Nhi, chairwoman of the People’s Committee in ward 7 in Phu Nhuan district said some beggars even disguise as monks to gain sympathy. She has asked the district administration to advise people to support social welfare centers where the homeless and disadvantaged people can take food and shelter. 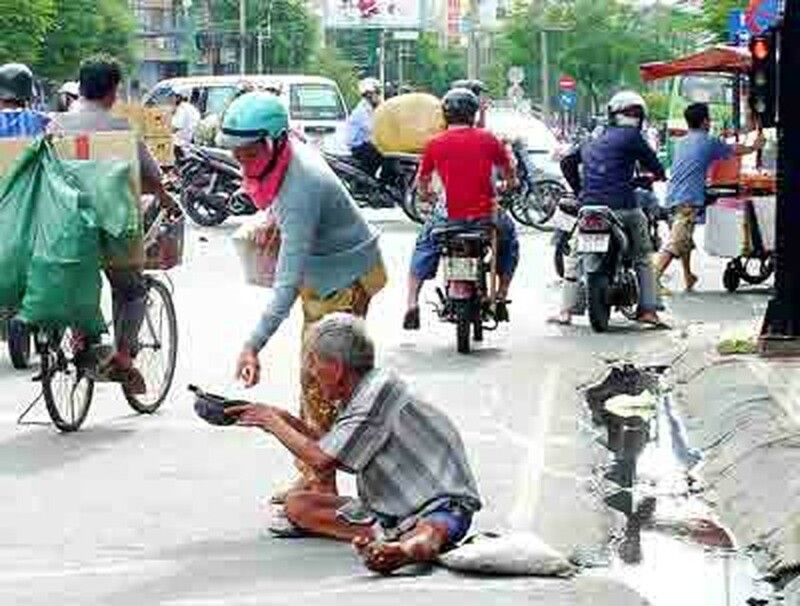 Lieutenant-colonel Nguyen Ba Uu in Go Vap district said most of the beggars are children and the old aged, who are controlled by cruel gang leaders. Police and relevant agencies discovered such illicit groups and imposed heavy penalties on them. Nonetheless, the begging continues. Uu proposed a heavier penalty on illicit gangs that organize beggars in order to warn them off. On the other hand, he said the city districts should cooperate with each other to track beggars who often move from district to district. The city should also work with localities where beggars have a permanent residence.